Shears are light weight and well balanced. Semi-convex edges for great cutting action. 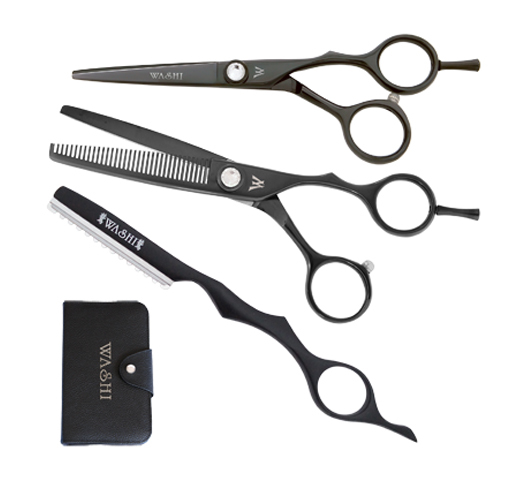 Washi's "Black Panther Set" hair shears are light weight and well balanced. Forged from 440C Steel. Semi-convex edges for great cutting action. Features Washi's anti push edge work. A shear made for most hair cutting techniques.